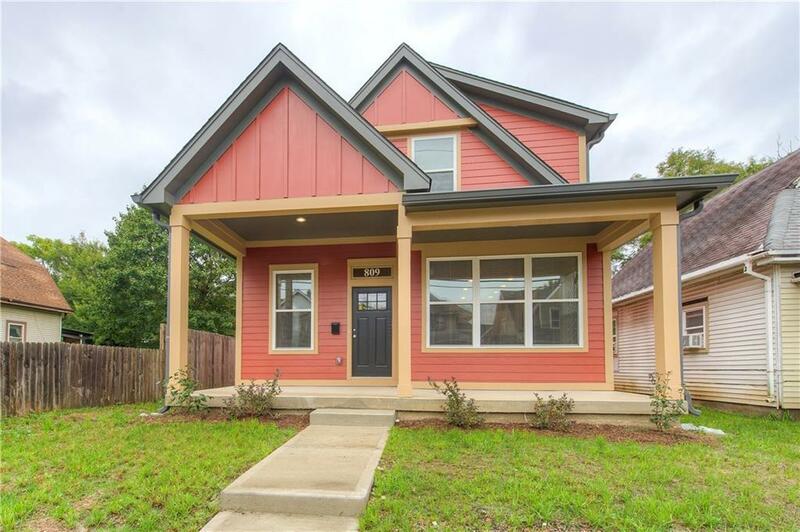 This 3 bed, 3 full bath new construction Arts and Crafts home is located in the desirable Rivoli Park neighborhood. A stunning open concept floor plan with soaring vaulted ceilings. The Near-Eastside is exploding with new housing, shops, restaurants, theaters, bars and breweries: "The Mayfair Taproom by the Hill/Powers family; owners of the Broad Ripple Brew, "Beholder" by Milktooth chef/owner Jonathan Brooks and the Tick Tock Lounge. Also, opening soon, "Windsor Park Art and Dinner Theater" by Ed & Tom Batista. A quick walk or bike ride to Downtown, Mass Ave or The Monon, Cultural and Pogue's Run Trails.